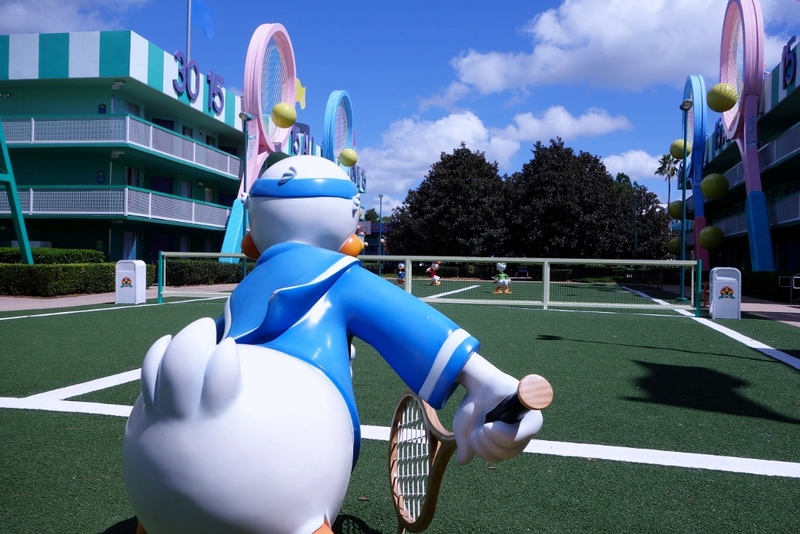 Whether or not you stay in one of the few third party resorts offering key Disney perks. 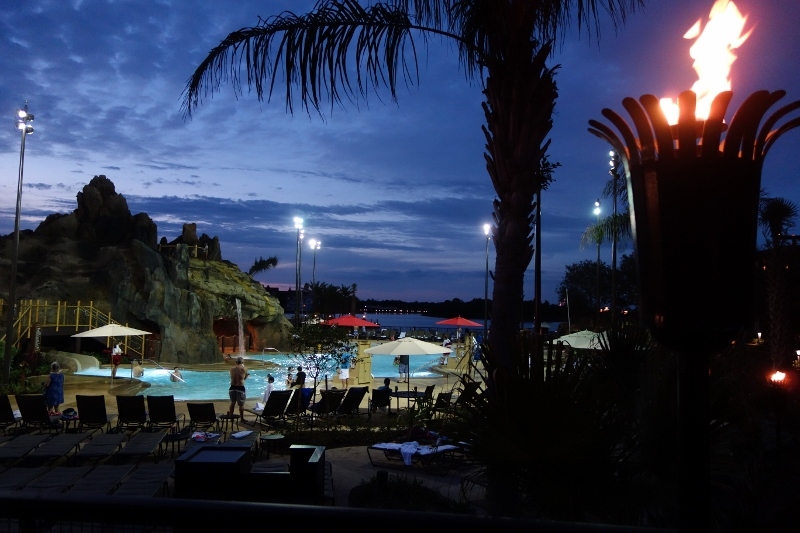 The decisions are interrelated because at any amenity level you will pay more—at the higher amenity levels often much more—to stay in a Disney-owned resort. There are some key perks that often make staying at a Disney-owned resort the better choice—especially for first-time visitors. I strongly recommend that first-timers stay in a Disney-owned resort. Reliable park transportation with proper hours. Access to the Disney Dining Plan which can save some families a bit, and lets others control their budgets. Access to extra time in the parks that most other guests can’t use. 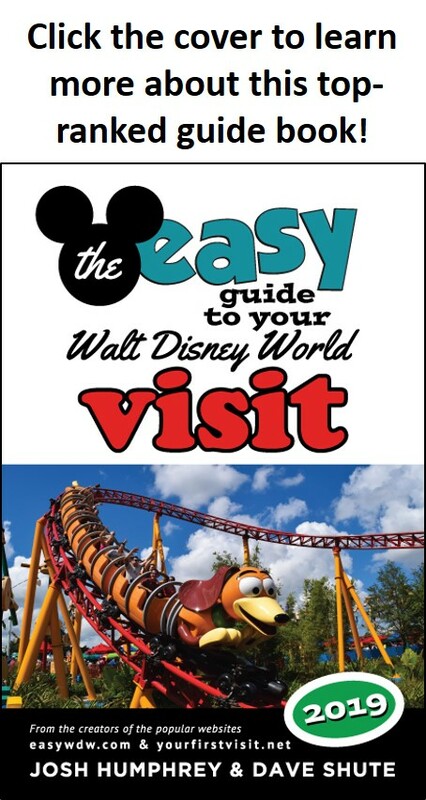 Being able to book FastPass+ 60 days from your arrival date, helping you get the most popular rides at the best times. FastPass+ is Disney’s new program that lets you book appointments for rides weeks ahead of time so that you’ll see short waits for them, and is a critical tool for reducing your waits in the parks. 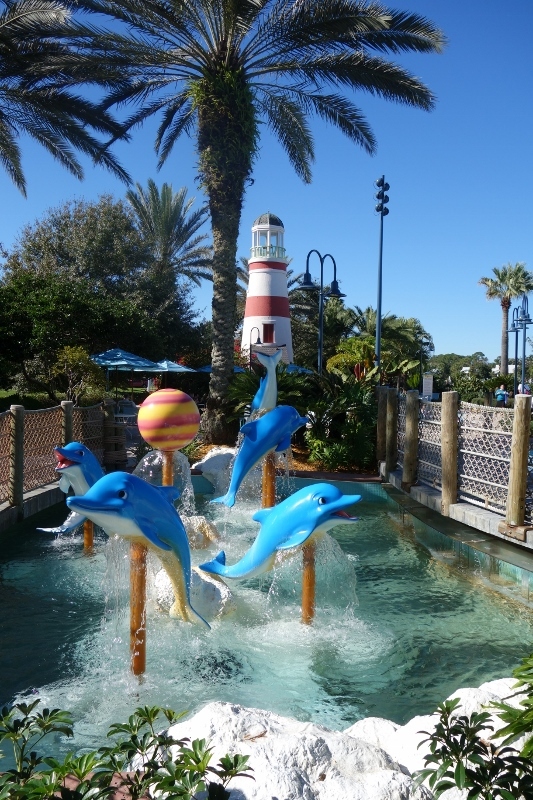 The non-Disney owned Swan and Dolphin also offer FastPass+ at 60 days, as do Shades of Green, the Four Seasons, the Disney Springs Resort Area hotels, and two of the Bonnet Creek hotels, the Hilton Orlando Bonnet Creek and the Waldorf Astoria Orlando, at least through 2019. All other lodging options get no special treatment, so if you stay in one of them your FastPass+ is available only 30 days in advance. Thus those staying in a Disney-owned resort (or another eligible hotel) are more likely to be able to book the most popular rides at the most convenient times. Being able to use Disney’s Magical Express, potentially saving you $150+. Disney’s Magical Express is a bus service that provides free transport to and from the main Orlando airport, Orlando International Airport (MCO) (but not the similarly named but much more distant Orlando Sanford International Airport, SFB) and your Disney-owned hotel. This lets you avoid cab fare or rental car costs. Slightly earlier access to the most popular dining reservations. Disney World dining reservations open to most people 180 days before the planned dining date, and the most popular venues like Be Our Guest book up quickly. For those staying at a Disney-owned resort, however, once 180 days from their check in day hits, they can book dining not only for that day but also for the next ten days as well. This ten day head start on the latter part of your visit helps with getting access to the most popular dining venues. Access to the Disney Dining Plan which can save some families a bit, and lets others control their budgets. The various Disney Dining Plans, available only to guests staying in a Disney-owned resort, are a way of pre-paying for some of your meals. While they are not as good a deal as they used to be, the regular dining plan may save families with kids aged 3-9 who plan a lot of one credit character meals some money. Other families may take comfort in being able to pre-budget much of their dining costs, even if they lose a little money compared to buying the same meals for cash. Free parking at the theme parks, and no resort fees. Parking at the Disney-owned hotels used to be free, but is no longer. Disney-owned hotels don’t charge “resort fees”—a mandatory surcharge that some non-Disney hotels charge that frankly oughta be rolled into room prices. Disney’s parks charge for auto parking–$25/day right now. Guests at Disney-owned hotels don’t pay this charge. Access to extra time in the parks that most other guests can’t use. 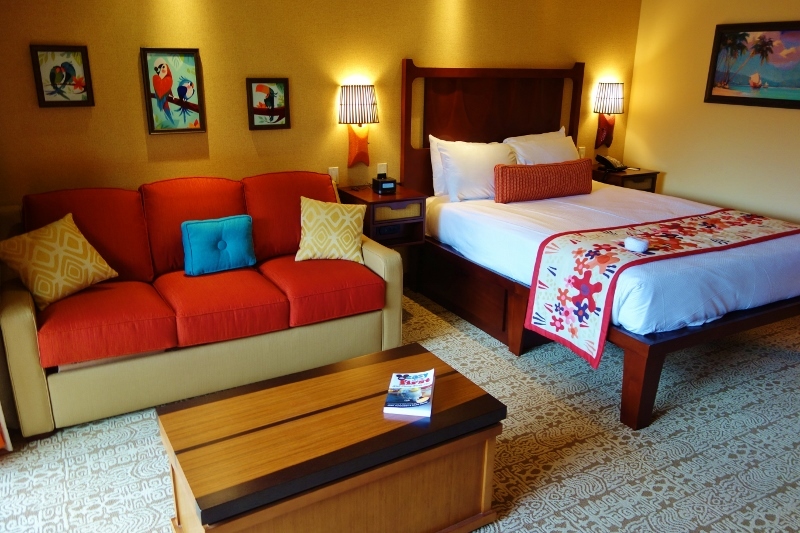 Disney’s Extra Magic Hour (EMH) program allows guests staying at a Disney-owned hotel (and also the Swan, Dolphin, Shades of Green, Four Seasons, and, at least through 2019, the Disney Springs Resort Area hotels and the Hilton Orlando Bonnet Creek and the Waldorf Astoria Orlando) to enter a park an hour earlier than everyone else, or to stay two hours later. Most of the year I don’t particularly recommend parks on their EMH days (because they draw extra crowds from the 25,000+ rooms that are eligible), but the extra morning hour in particular can be a godsend the most crowded weeks of the year, especially for families that have also bought the Park Hopper ticket add-on and thus can hop away later in the day to a less crowded park. Fun theming and good convenience. 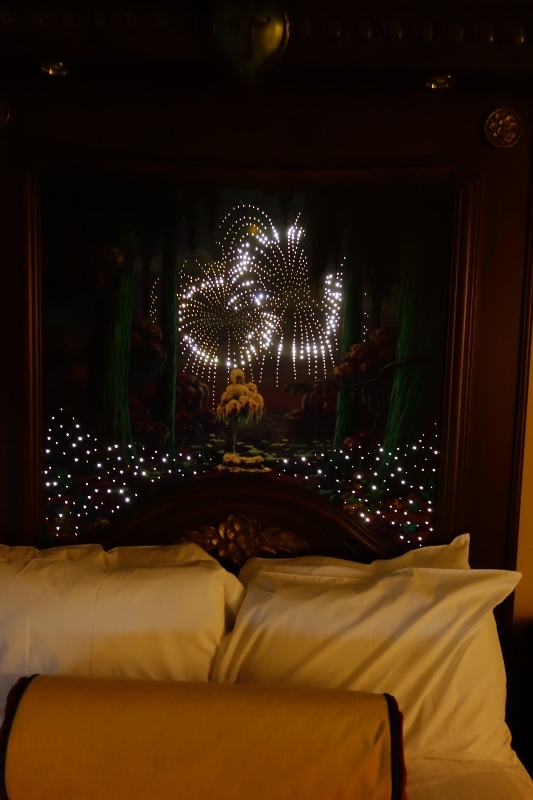 Most of the Disney-owned hotels have wonderful theming (although some don’t), and most are more convenient to most of the Disney theme parks than non-Disney owned hotels. 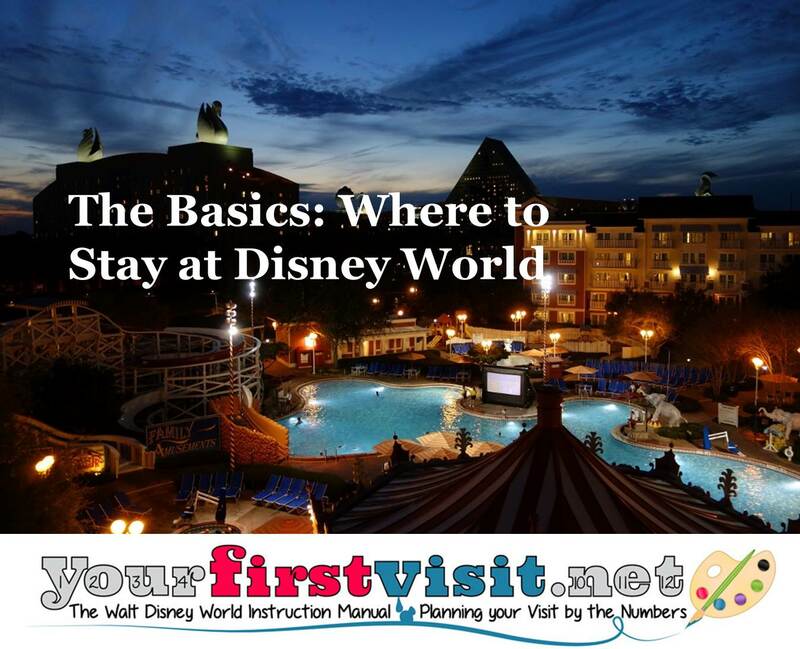 My resort rankings for first-time visitors are based first on kid-friendly visual theming, and second on convenience in carrying out this site’s itineraries. For all these Disney-owned hotel perks you will pay more—in some cases quite a bit more—for the same quality of room at a Disney-owned resort than at alternatives. 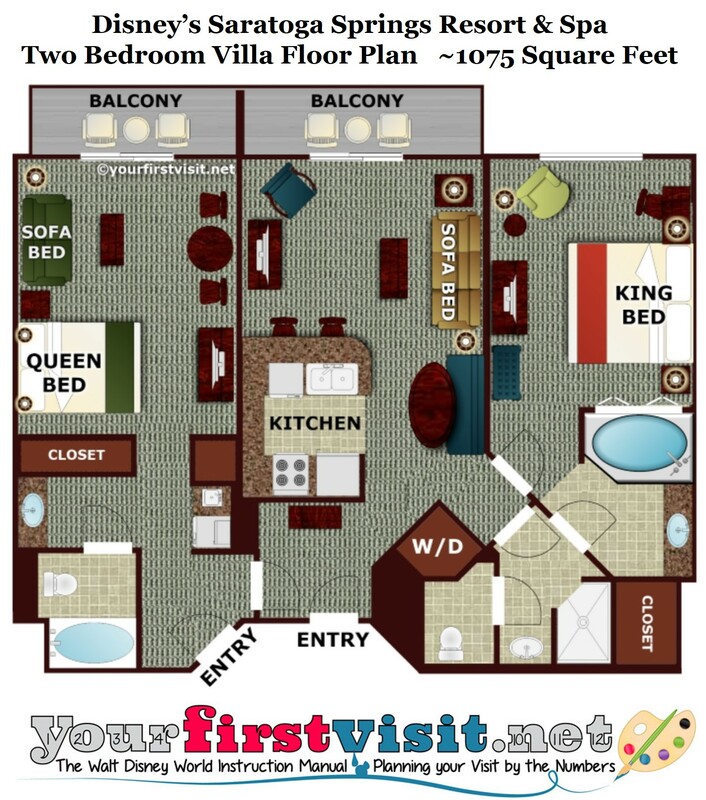 Value resorts have the lowest prices, tiniest rooms, fewest amenities, and offer no table service restaurants or character meals. 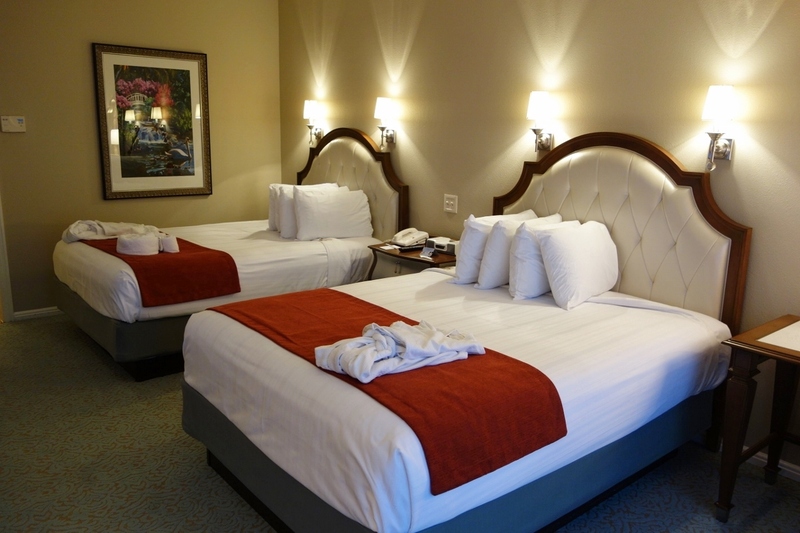 Most standard rooms sleep four on two full beds. 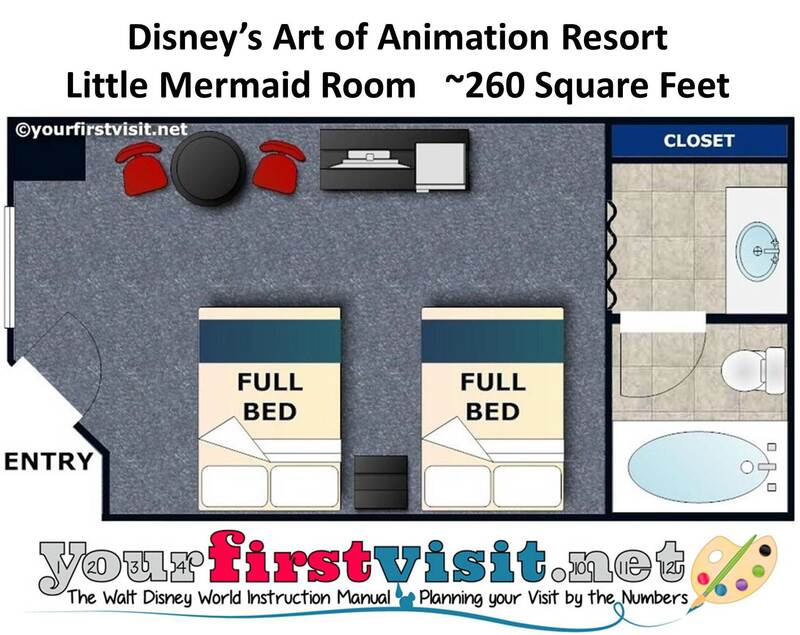 (Value resort “Family Suite” rooms, available at Art of Animation and All-Star Music, sleep six in a space about twice the size of a standard room, but cost more than twice as much.) 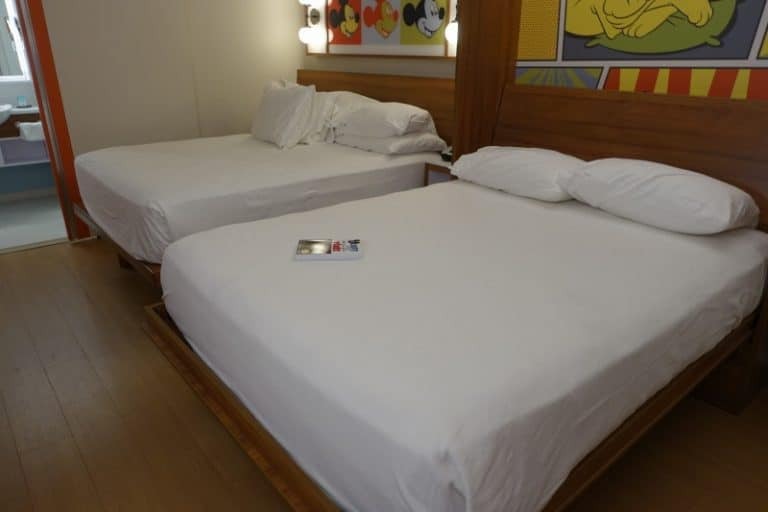 Refurbed rooms at Pop Century and All-Star Movies sleep four on two queen beds. The value resorts have great visual kid appeal, but many parents find them garish. 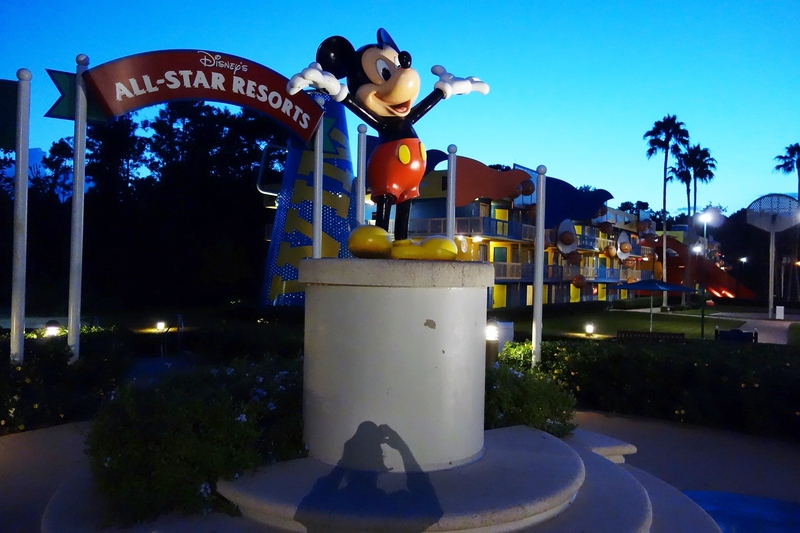 Room rates among the Disney-owned resorts vary tremendously by night of the week, time of the year, and views, and also among hotels within the same price class. That said, prices for the lowest priced four person value resort room types and views range from around $100 to a little over $200 per night. Family suites are more than twice as expensive. For first timers who may never return, based on criteria of visual kid appeal and convenience, I particularly recommend Art of Animation and Pop Century among the values. 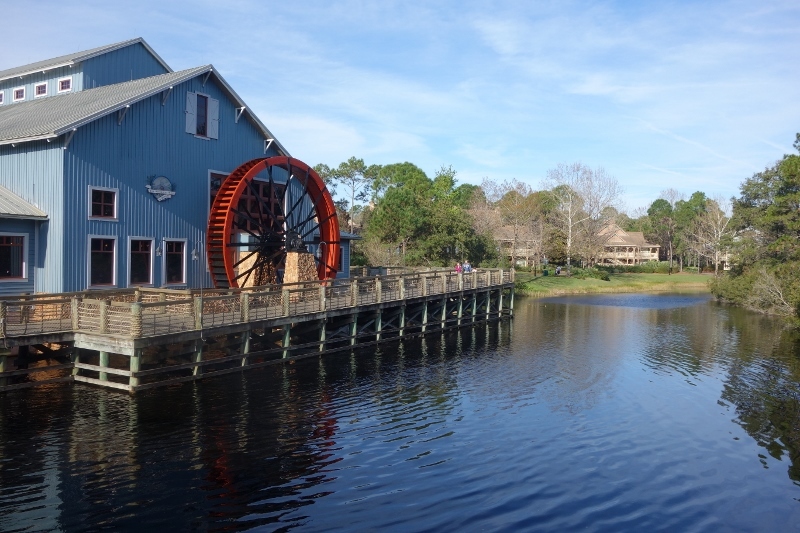 Moderate resorts have (for Disney) middle-of-the-road prices, room sizes, and amenities. 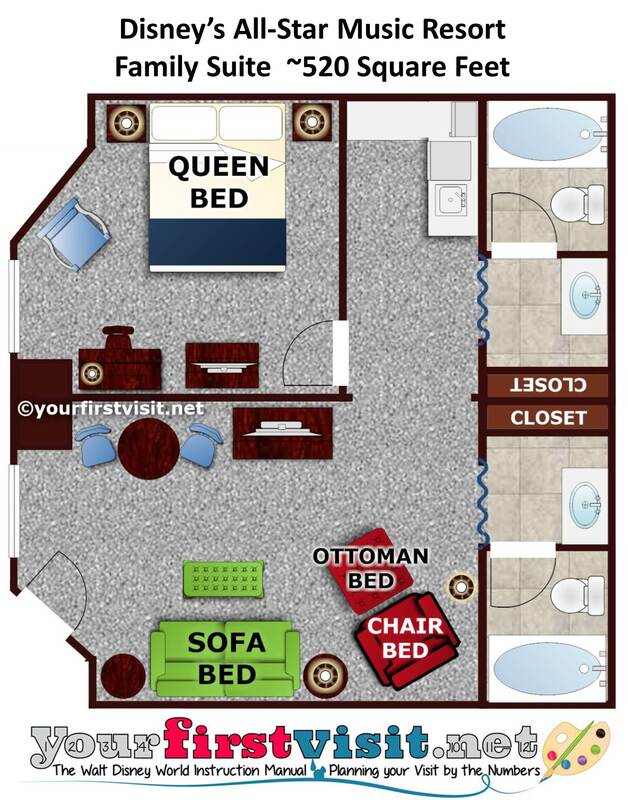 Most standard rooms sleep four on two queens (Pirate rooms at Caribbean Beach have full beds). 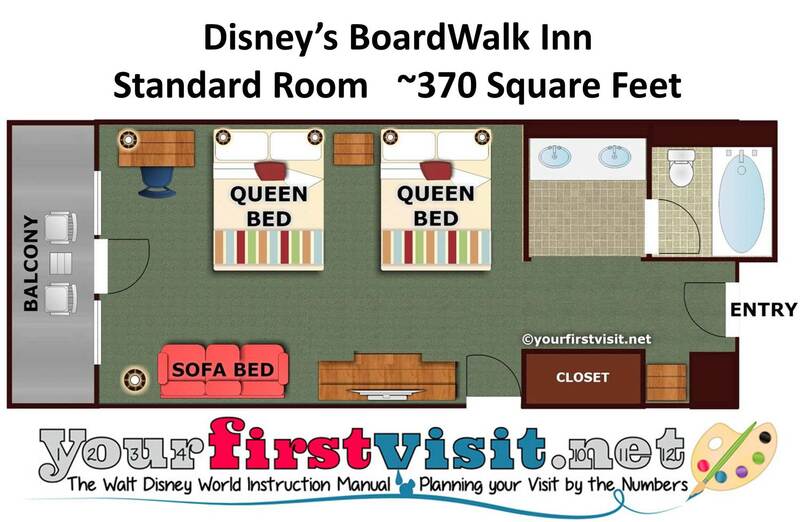 Some rooms at Caribbean Beach and Port Orleans Riverside have fifth sleeping spot large enough for a child. The Cabins at Fort Wilderness sleep 6, two on bunk beds suitable for children. The bedroom portion of the traditional moderates is comparable in size to the bedroom area at many Disney-owned deluxe resorts. All moderates offer table service restaurants except Port Orleans French Quarter. 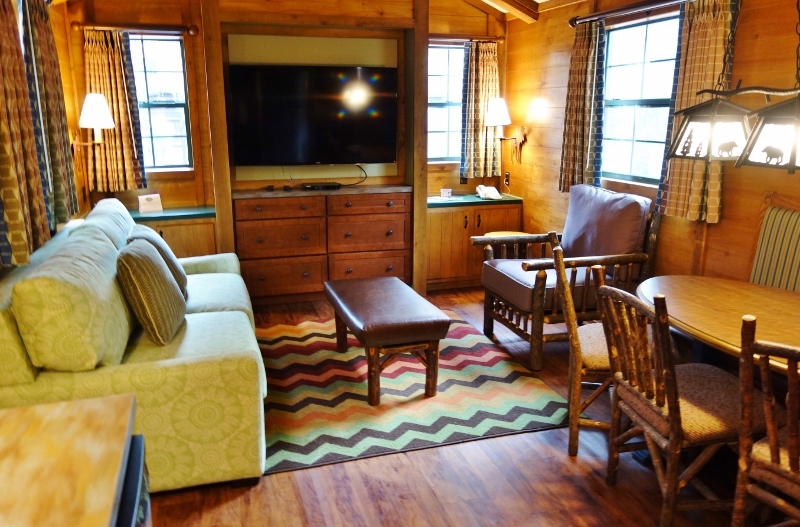 None but the Cabins at Fort Wilderness Resort and Campground offer character meals. Most of the moderates are sprawling (Port Orleans French Quarter is an exception) and while kids love them all, none shouts with kid appeal the way the value resorts do. And among the traditional moderates, there’s also two groups of special room types. 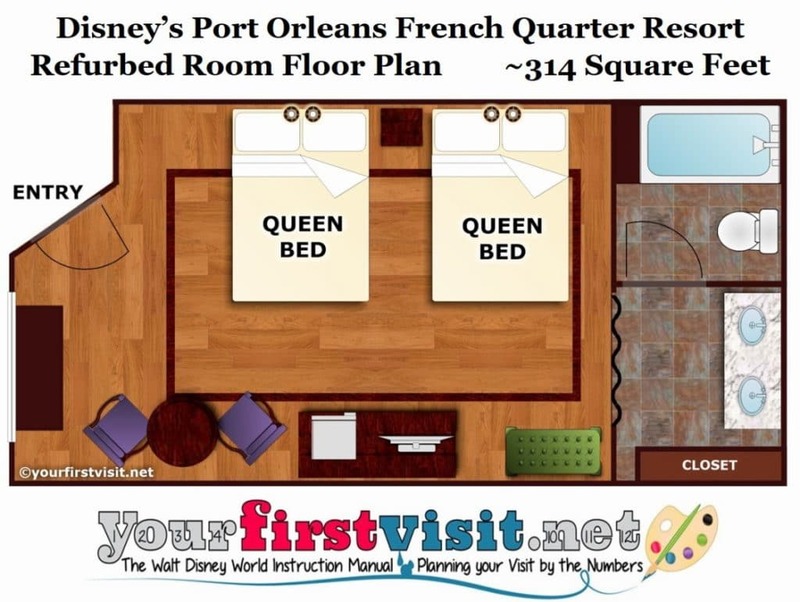 While most standard traditional moderate rooms sleep four on two queens (fulls in the Pirate rooms) a fifth sleeping spot on a short fold-down bed is available in the Alligator Bayou section of Port Orleans Riverside and in most areas of Caribbean Beach (except the Pirate room area in Trinidad). 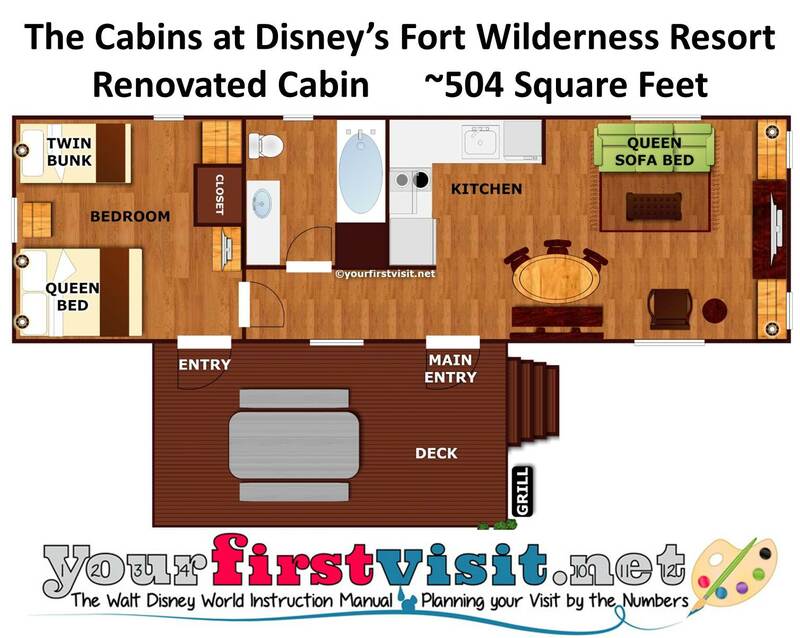 Also classed as a moderate are the quite different Cabins at Fort Wilderness, which sleep six in two rooms and have a full kitchen (with a limited oven). I don’t particularly recommend these Cabins for first timers, as they combine bland theming with substantial inconvenience. Personally I love these cute little cabins… but for returning visitors I’d recommend them only for those who need to sleep six, who need a full kitchen, and who have a rental car. The least expensive rooms at the traditional moderates cost little less than $200 to more than $300 depending on the resort and the time of year. I’m not keen on the moderates for first timers who may never return, as they are short on kid appeal and convenience compared to other options you have. For returning visitors, the mix of pros and cons among the traditional moderates is more muddied than that of any other resort class. Caribbean Beach stands out for its kid appeal, and Coronado Springs for its overall suite of amenities. Riverside is the best-loved, and French Quarter the most compact and convenient. Deluxe resorts. While there is more variety among the deluxes than any other Disney price class, in general they have the highest prices, largest rooms, most amenities, best pools, and plentiful dining, including both “date night” quality dining and also family friendly and/or character meals at or near most of them. 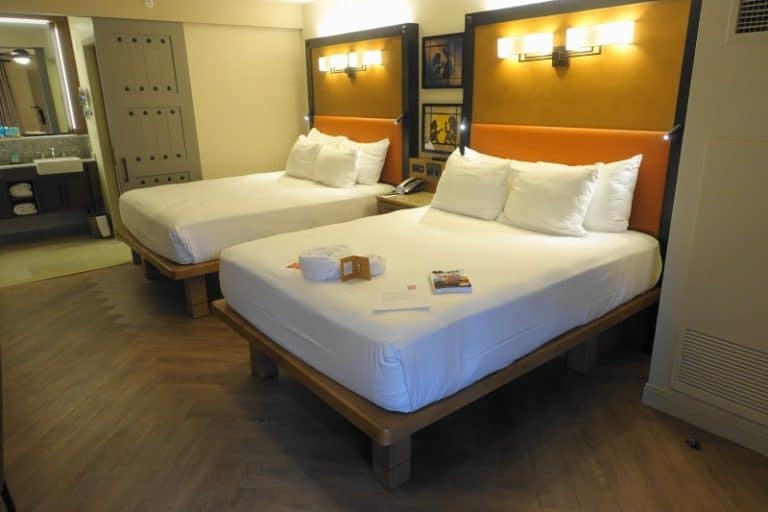 Standard rooms sleep at least four on two queens, and all the deluxes except the Wilderness Lodge and Animal Kingdom Lodge offer many rooms with a fifth sleeping spot large enough for an adult. 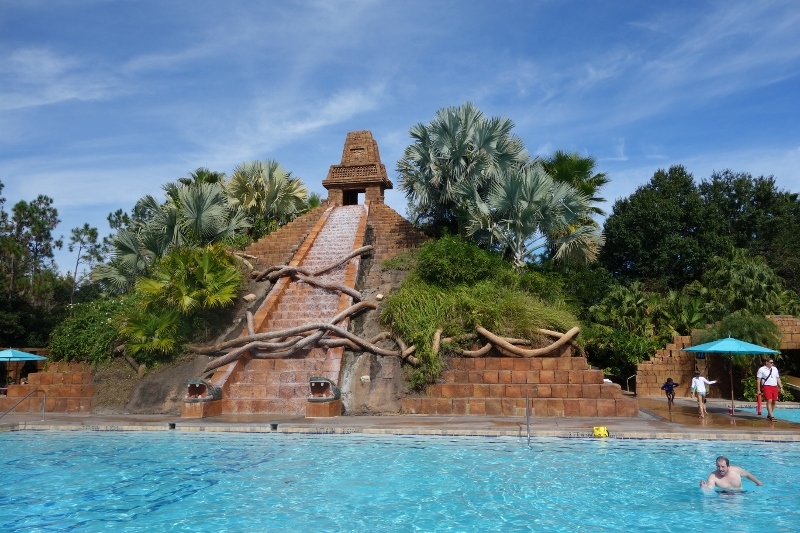 Some deluxe resorts—especially the Wilderness Lodge, Animal Kingdom Lodge, and Polynesian Village Resort—have terrific visual kid appeal, and some don’t. At the deluxes—where prices among hotels in the same class vary the most—the least expensive rooms run from a little under $400 to more than $950 per night depending on hotel and time of the year. See Mousesavers.com for more specifics on room rates by date and by view. For first timers, among the deluxes I particularly recommend the Polynesian. Disney Vacation Club Resorts. At the Disney Vacation Club (“DVC”) offerings (which regular people can book—you don’t have to be a Disney Vacation Club member to book these) there are multiple deluxe level room types: “Studios” are similar to deluxe rooms; “Villas” are larger and have full kitchens, and, at the two-bedroom and larger sizes, sleep eight people plus. There are officially ten DVC resorts at Disney World (with two more one the way), but I count them twelve because of some sharply distinguished areas at the Animal Kingdom Lodge and Saratoga Springs that Disney lumps together. 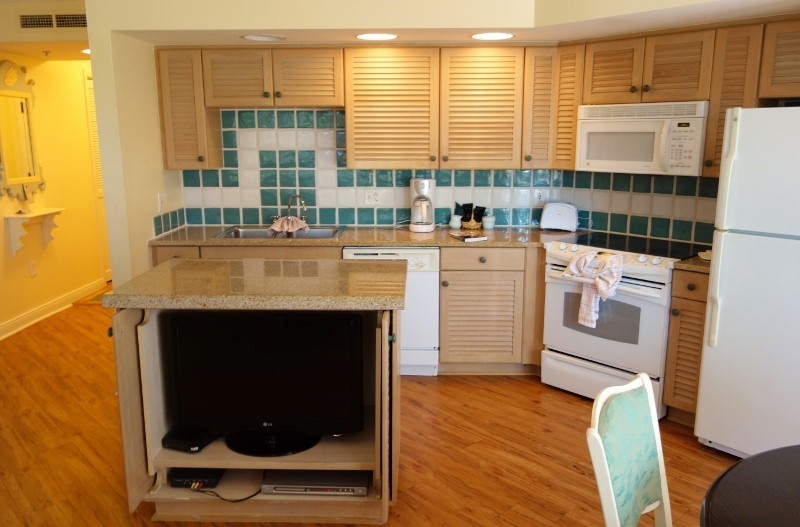 I don’t particularly recommend the DVC Villa options for first timers, as their distinguishing features—extra space and full kitchens—are of little use on a first visit where most time is spent in the parks, not in the rooms. These features, however, can make them a delight for returning visitors. The Campsites at Disney’s Fort Wilderness Resort. 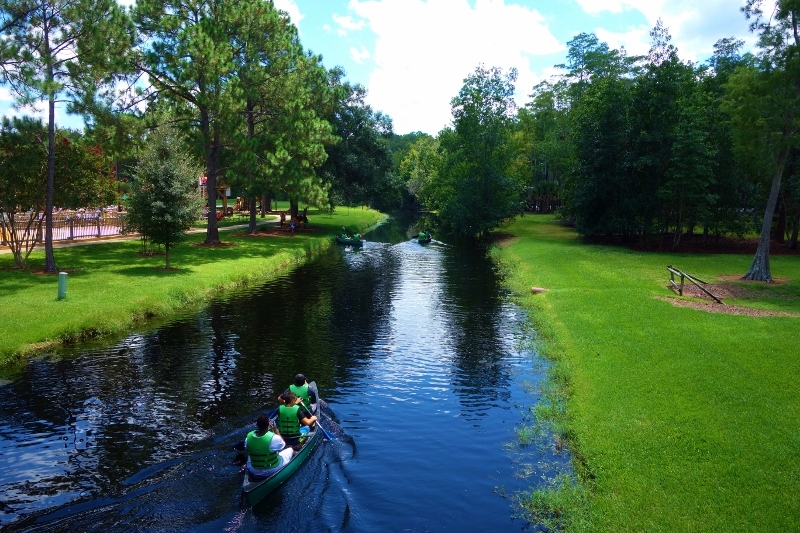 Campsites for up to ten tent and RV campers (the Cabins at Fort Wilderness are grouped in the moderate class). I don’t recommend the campsites for first time visitors, nor for inexperienced tent campers. The campground is blandly themed and suffers from inconvenient transport arrangements. 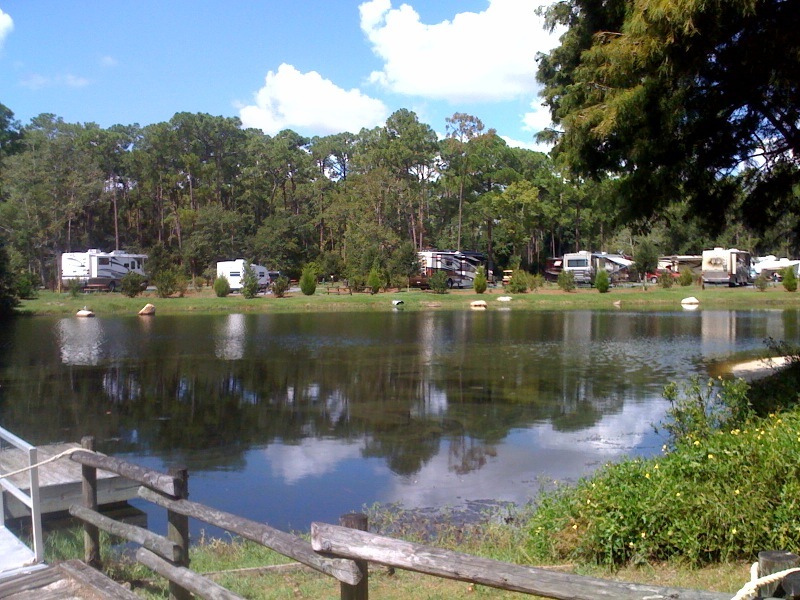 For returning visitors in RVs or who are expert tent campers, Fort Wilderness is one of America’s great campgrounds. To all the room occupancy figures you can add one child younger than three sleeping in a crib. 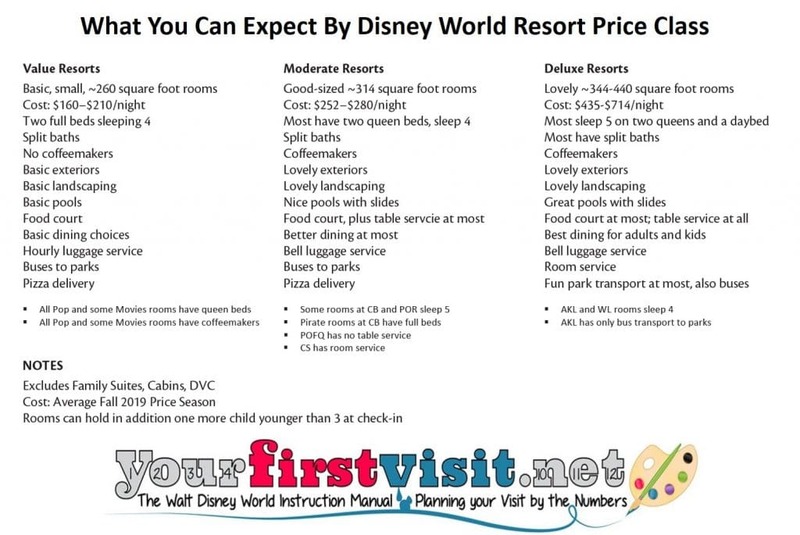 Except at the campground and the DVC resorts, prices assume one or two folks 18 or over. More than two people over eighteen will face a surcharge. The table below shows more on what you can expect to find in the standard rooms of the three principal price classes—values, moderates and deluxes. Returning visitors, or first-timers who are able to return, can have a great visit at any Disney-owned resort. I have stayed in more than 160 different Disney-owned rooms, suites, studios, villas, cabins and campsites. Detailed reviews of them all based on those stays are here. Deals are often available for the Disney-owned resorts. Current Disney World deals are here. The best reason to stay in a non-Disney hotel is to save money. Details on the key options are here. I am travelling with my hubby & parents in October for 8 nights, my parents are in their 70’s so we need accomodation that has shuttle transport included but this is our first visit & we are looking for moderate accomadation but we don’t know if we should book Disney owned property or on Lake Buena Vista? Im searching the website & there is so much I don’t know what is the best option ? we want to see everything ? I would love you to please advise? Nat, I advise staying at a Disney-owned resort, for the reasons noted here. Hi, I have some questions about staying at a Disney Resort and linking credit cards to Magic Bands. We are 5 Adults staying in a suite in Art of Animation, is there anyway that we could have different credit cards linked to our different Magic Bands. We love the idea of being about to pay for stuff using a Magic Band, but everyone would like there own credit card linked so we don’t have to try and figure out and split things up later. Thanks for your help. Alicia, sorry but you can’t. The simplest way to handle this is for people to just use their individual credit cards to charge stuff. We are coming in 2019 5 families. I want to know when we can book our rooms and get our magic bans. Thanks. Hi David, you can book your rooms 499 days from your arrival date, but there are complexities. See this. You can customize your magic bands 30-60 days before arrival, and they’ll be mailed to you (if you have a US address) shortly after. Harold, start on the home page and work your way through its topics (the ones after the list of links at the very top).